When the venerable Dallas builder Tony Visconti says a home is well-built, you better believe it’s top-notch, hands-down, best-materials-that-money-can-buy kind of quality, and that’s clearly true with this $14 million Deloache Avenue estate built by Bella Custom Homes. 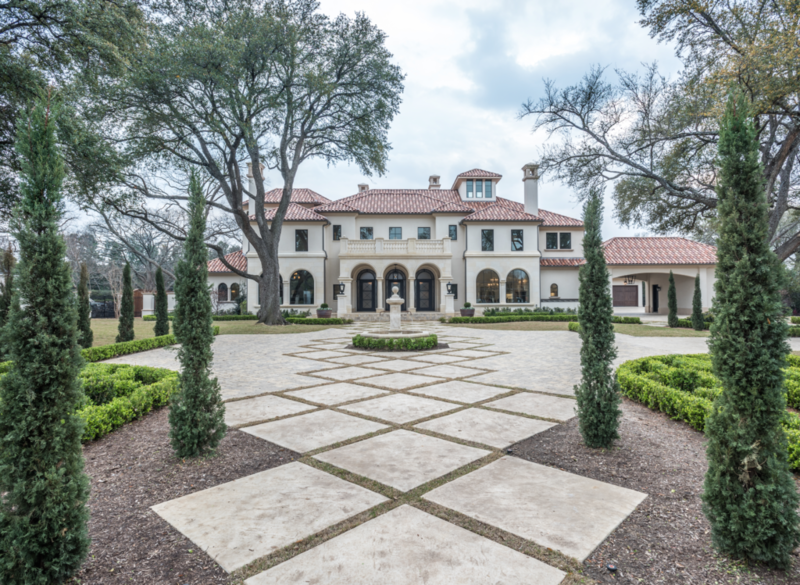 CandysDirt.com has been following this exquisite Italian Mediterranean estate at 4926 Deloache Avenue in old Preston Hollow for sheer fascination of the build quality and architectural perfection. The home flawlessly embraces traditional classic architectural elements with transitional styling and modern essentials, all the elements that modern buyers of luxury real estate want. 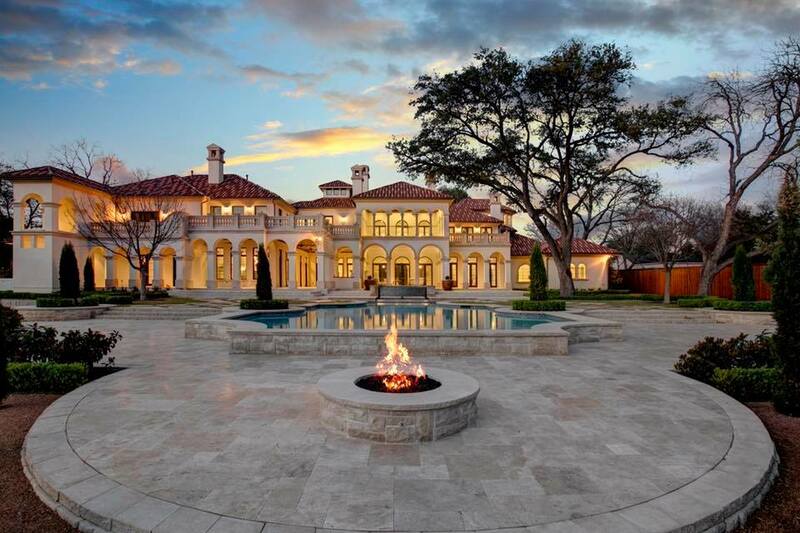 Listed at $13.95 million, this sprawling 1.645-acre estate clocks in at 14,179 square feet with seven bedrooms, eight full baths and five half baths, including a pool bath outside. John Todd of Elite Remodeling receives the 2018 Hugh Prather award from previous year recipient Donnie Evans of Altura Homes. The Dallas Builders Association has awarded the 2018 Hugh Prather Trophy to John Todd of Elite Remodeling. The award is the highest honor bestowed by the association and has been presented annually for the past 68 years to a builder, remodeler, or developer member who has done the most for the betterment of the North Texas region. The 2018 presentation was made during the Dallas Builders Association’s Leadership Retreat held Oct. 25. At the retreat, 2017 Prather recipient Donnie Evans of Altura Homes presented the award. 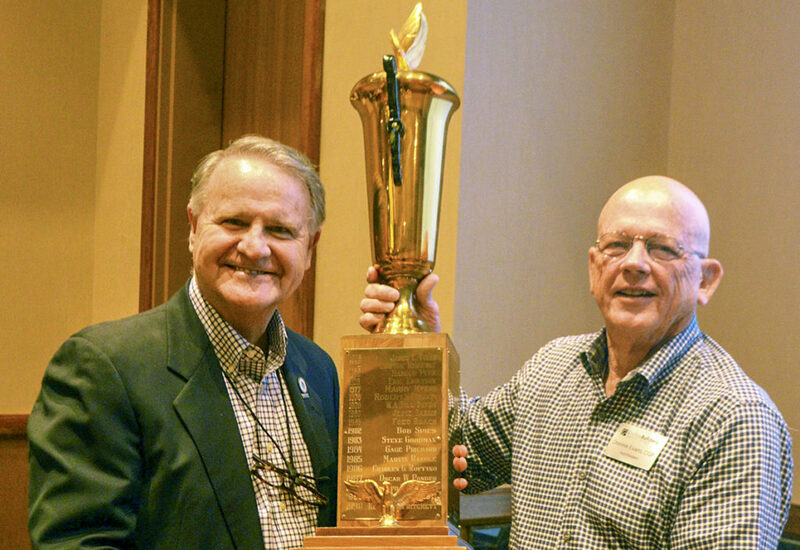 The award was named for the Association’s first president, Hugh Prather, in hopes that his principles would serve as a guide for future generations of builders. It is not meant to be simply a “Builder of the Year,” but something more that reflects credit to the building industry. 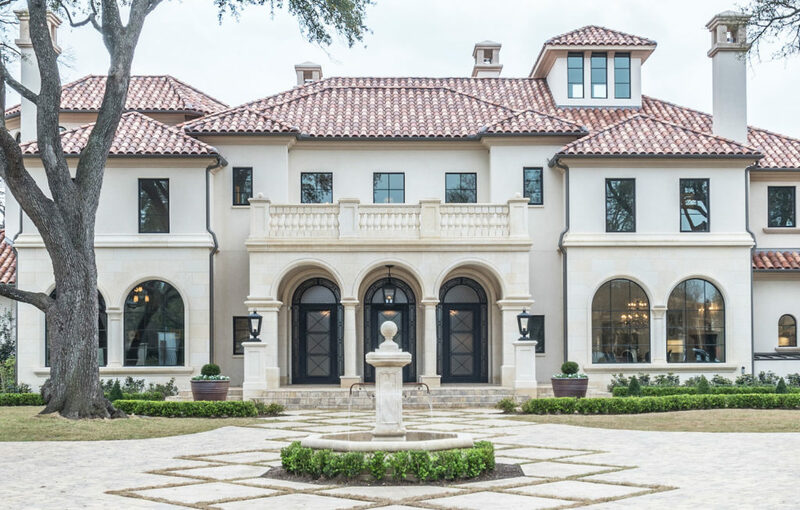 Editor’s Note: Bella Custom Homes is a 25-year Dallas-based custom luxury home builder who has built homes for the most discriminating homeowners in Dallas. His company is not to be confused with the now defunct Bella Vita Custom Homes, which filed for bankruptcy earlier this year. Let’s face it: the Dallas real estate market is still low on inventory. Families looking for the truly custom home, the one that checks all the boxes on the wish list, often despair when they cannot find exactly what they want in the marketplace. That’s when custom home builder Tony Visconti comes in with his exclusive Build to Suit process. His experience rivals few in the business, and Tony knows building dynamics more than most. Since 1993, Tony has been helping homeowners achieve their brick and mortar dreams when it comes to a truly custom home that is unique to the person, the personality and the lifestyle. 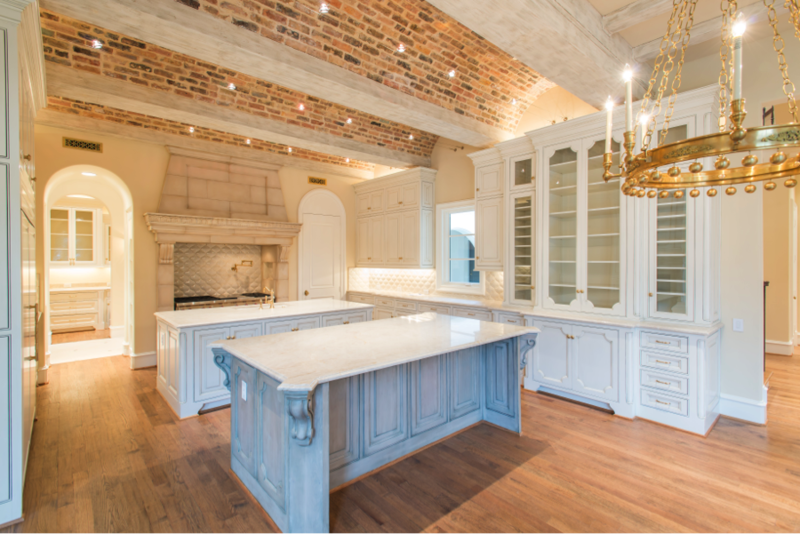 With hundreds of luxury custom homes completed over the last 25 years, Bella Custom Homes, Tony Visconti and his team have the process down to a science. Tony and his team meet with the clients throughout the entire home building process, from beginning to end. The first part is lot selection. Tony helps his clients select the dirt they want, always by their side, because there are several factors that many first-time-building homeowners don’t consider from their neophyte perspective. The Dallas Builders Association’s annual ARC awards sent me north to the Westin Galleria on Saturday night. Amazingly, our recent rains didn’t hamper any glamorous (and dry) entrances and exits. It’s my second year attending this fab ‘do and I try not to take their “no jeans, khakis, shorts” admonition personally. Before we jump to the winners (suspense?) I’ll say that homeowners looking to either remodel or build from scratch should check out the DBA website for resources and education. They hold regular seminars on a variety of building topics, such as the Sept. 7 course titled the “Basics of Building.” It sounds like a great test-the-waters course that at eight hours will either mesmerize or scare the bejesus out of you. There’s also the Oct. 12 course on “New Home Technology” that lasts three hours and includes lunch. There is a charge for courses and they’re aimed at professionals, but as a consumer, learning a little before you begin ain’t half bad. The Dallas Builders Association (Dallas BA) has announced winners in its 2014 ARC Awards, held Aug. 16 at the Westin Galleria and presented in partnership with Starlight AV. The ARC Awards are held each summer to recognize building excellence by associate members, remodelers and custom builder members of the Association. Winners were named in approximately 50 categories including Best Green Built Home, Best New Home, Remodeler of the Year and Custom Builder of the Year. 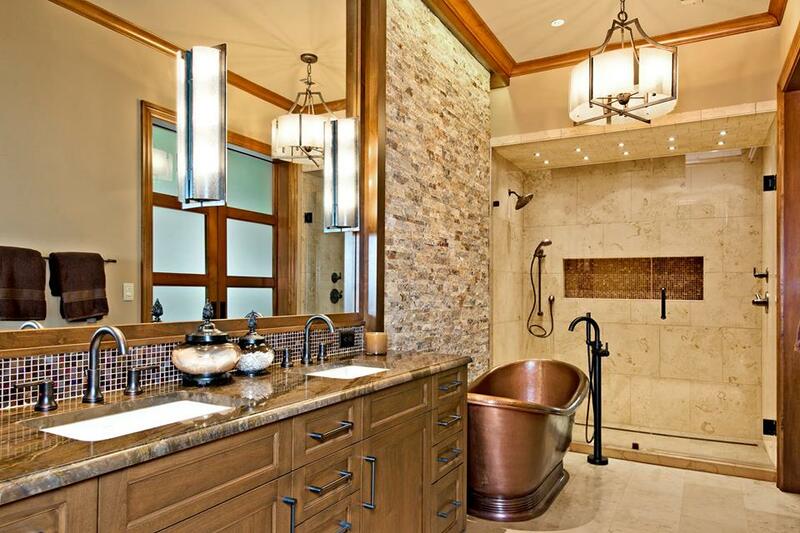 Classic Urban Homes was named Custom Builder of the Year. USI Design & Remodeling was honored as the Remodeler of the Year. 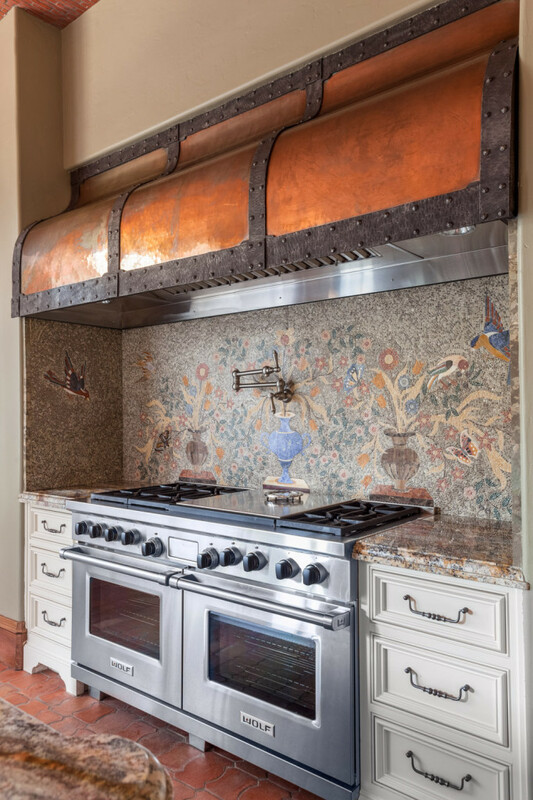 Custom builder Tim Lansford of Modern Luxury Homes served as the master of ceremonies. Partners for the 2014 ARC Awards were Starlight AV, Capital Distributing, Southwestern Carpets, Ferguson Kitchen, Bath & Lighting Gallery, Legacy Texas Insurance Services, Childress Engineering Services, Pro-Build South Central, StrucSure Home Warranty, Tuggle Design, Douglas Custom Cabinets, Arizona Tile, Tempo Mechanical, Tex Energy Solutions, Pella Windows and Doors, Texas Builders Resource Group, Centurion American Development Group, Crawford Electric, 1-877-8-Dump-It, Inc., Owens Corning, Zetley Distributors, DHome, Atmos Energy, Staz On Roofing, Signature Floors & Interiors, The Bath & Kitchen Showplace, Marek Brothers Company. 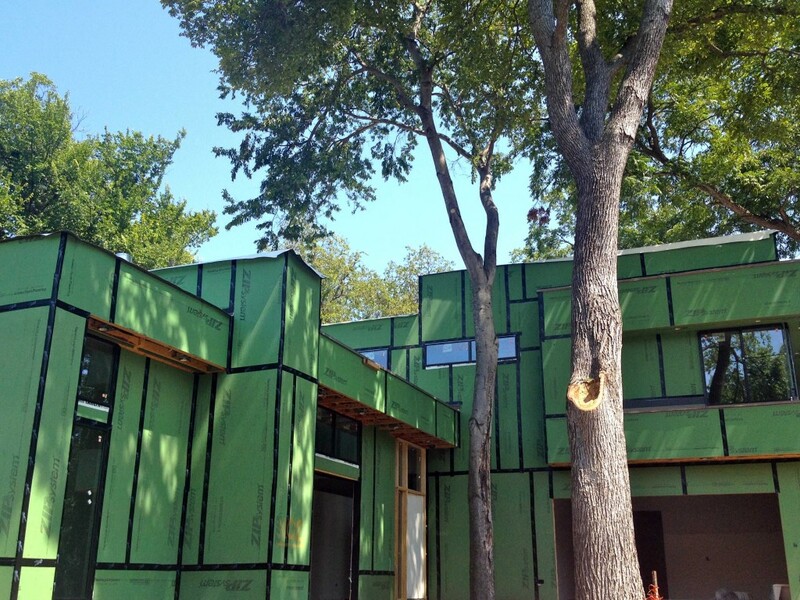 Tom Greico’s project on Easton Road is a modern home that takes full advantage of the long lot and canopy of trees. He’s passionate about building custom homes that evoke the clean lines and accessible floorplans for which he’s known. Forward-thinking, open, and bright, Tom Greico’s brand of modern has developed a loyal following. “They go on the internet and they see me on Facebook and they follow me. People will come up to me and say, ‘We saw your house on Such-and-such Road,'” Greico says with a laugh. And after that, they often ask when Greico Modern Homes be available to build the home of their dreams. With eight projects right now, he says it’ll be about a year or so before he can start something new, but it’s great to be in-demand, Greico said.